At the Home of Motorsport in the Middle East, the Bahrain International Circuit, d’Orlando would represent the United States and face off against 97 of the best OK-J drivers in the world. Competing In only his 5th CIK-FIA event, and quite possibly being one of, if not the driver with the least amount of experience competing in that series, d’Orlando would start the week as a top-10 driver in the practice sessions, earning a spot in the top qualifying group for the official Qualifying session. For reasons that were later not clearly understood, the official Qualifying session would prove disastrous for the entire group setting a similar tone for the rest of the week. Starting each of the 4 heats in the 10th row, d’Orlando would face unnecessary contact and multiple bumper penalties, not indicative of his on-track performance. Ultimately these incidents would prevent d’Orlando from the results needed to advance to any further pre-final action for the event therefore ending his 2016 season, his competition in the junior ranks of karting, and left him reflecting on the year’s progress and on the future in 2017. “To end my year like that at Bahrain is not what our goal was as we were very confident that we had the capability for better results. We were fast and I was able to get up to speed quickly on a track that very few other drivers had experience on, therefore evening out the field, but the on-track incidents were a major factor in our final-results.” said Michael d’Orlando. Look out for future announcements from Michael d’Orlando and d’Orlando Enterprises for 2017 plans. And a representative of Michael d’Orlando Racing will be in attendance at the Performance Racing Industry show in Indianapolis, IN this weekend on Friday & Saturday December 9th and 10th. 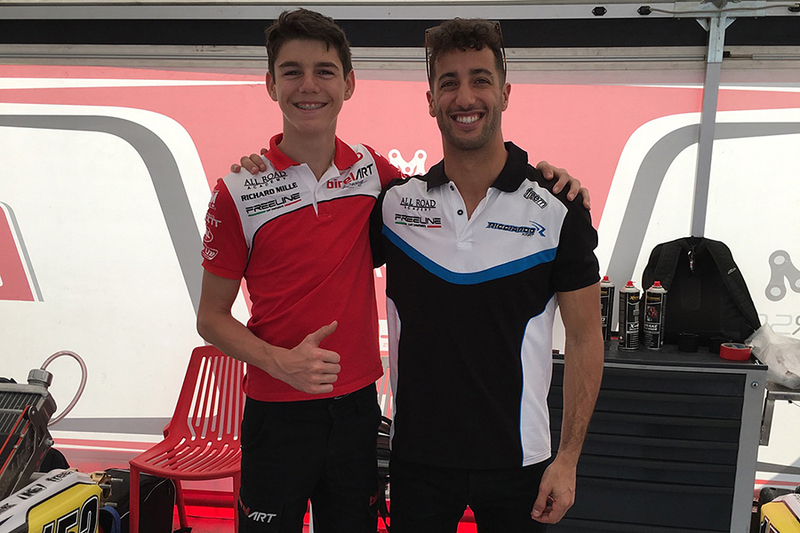 Michael d’Orlando and d’Orlando Enterprises would like to thank Birel Art Factory Team for all their continued efforts and support throughout the year, especially Ronni Sala, Rickard Kaell and Riccardo Messana. In addition, a sincere Thanks to our partners for all their support for a great 2016 season, such as DB Collaborative (www.db-collaborative.com) and owner John Macones, Fyshe USA/Adidas Motorsport (www.adidasmotorsport.com), Iona Preparatory School (wwww.ionaprep.org) and Focused Project Management (www.focusedpm.net). For more information on Michael d’Orlando, please visit www.dorlandoracing.com. Be sure to follow them on Facebook (Michael d’Orlando Racing), Twitter (@dorlandoracing) and Instagram (@dorlandoracing) to stay up to date on news, information, photos and results.